Harper Perennial Modern Classics, 9780061120152, 448pp. Geoffrey Firmin, a former British consul, has come to Quauhnahuac, Mexico. His debilitating malaise is drinking, an activity that has overshadowed his life. On the most fateful day of the consul's life—the Day of the Dead—his wife, Yvonne, arrives in Quauhnahuac, inspired by a vision of life together away from Mexico and the circumstances that have driven their relationship to the brink of collapse. She is determined to rescue Firmin and their failing marriage, but her mission is further complicated by the presence of Hugh, the consul's half brother, and Jacques, a childhood friend. The events of this one significant day unfold against an unforgettable backdrop of a Mexico at once magical and diabolical. 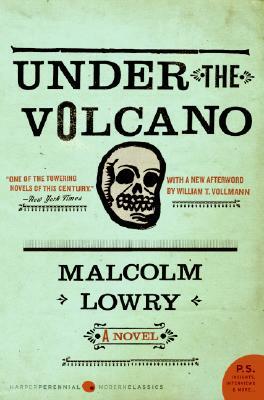 Malcolm Lowry (1909–1957) was born in England, and he attended Cambridge University. He spent much of his life traveling and lived in Paris, New York, Mexico, Los Angeles, Canada, and Italy, among other places. He is the author of numerous works, including Ultramarine and Hear Us O Lord from Heaven Thy Dwelling Place.